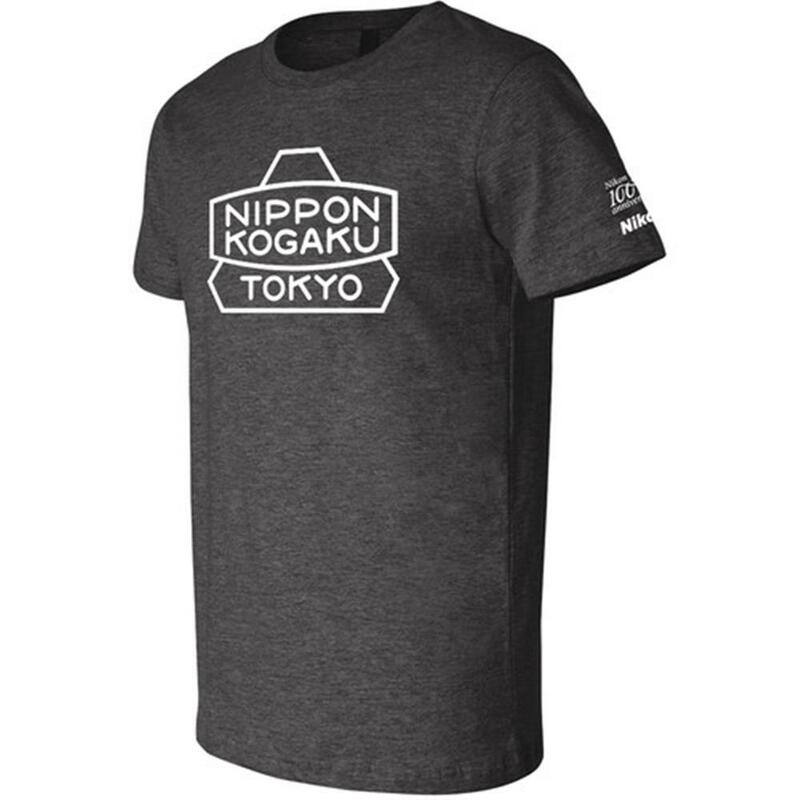 The 100th Anniversary NIPPON KOGAKU Men's Jersey T-Shirt is a premium short sleeved T-Shirt in charcoal gray, designed to celebrate Nikon's 100th Anniversary by showcasing one of its most iconic logos of Nikon's 100 year history. Wear your Nikon pride as you join with us in our 100th Anniversary celebration with the premium T-shirt that features the NIPPON KOGAKU logo (circa 1948) and the Nikon 100th Anniversary logo. The soft, lightweight Men's Jersey T-Shirt is made of a blend of cotton and polyester and is fitted at the bicep with shoulder taping and sideseamed.